they were about to be destroyed as well. 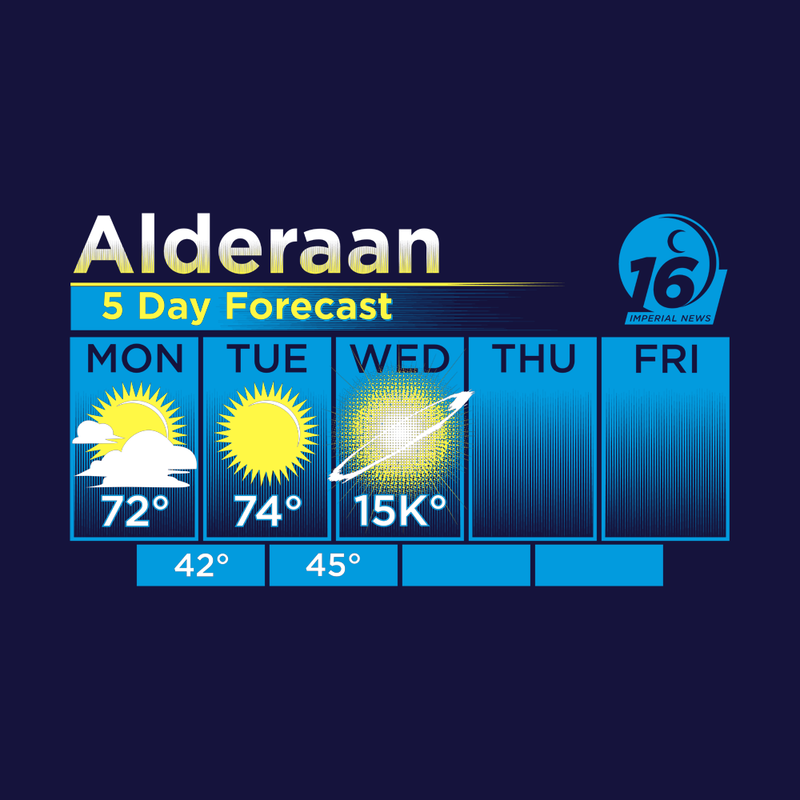 So, my question is: Did the inhabitants of Alderaan realize what was about to happen or did everything happen too quickly? Both Disney canon and Legends are acceptable. According to the (canon) short story Eclipse, the inhabitants were largely in the dark about the nature of their impending demise. The "planet killer" was a closely guarded secret. A few individuals were aware of what had just arrived in orbit but it all happened far too quickly and communications was jammed so any hope of organised resistance or mass escape weren't an option. Beside her, Bail gasped and then seemed to go limp. He turned to her, eyes empty, mouth moving but silent. At last, he found his voice and searched the ground at her feet. The perfect symbol to destroy. The perfect message to send. No planet was too sacred, too populous…No planet was safe. “My love, they wouldn’t,” she said, even as she knew they would. The sound was incredible. They turned toward it in awe and dread, a deadening of air that pulled all noise from around them before a tremendous blast like lightning rent the air. Bail yanked her into his arms, squeezing her as light blinded them, a ring of white that grew from the horizon, spreading fast, bringing trees, beasts, and rocks with it. Moving down the canon scale, there's a mention in the Legends RPG supplement Galaxy Guide 3: The Empire Strikes Back that some Rebel forces on the surface of Alderaan radioed for help after seeing the Death Star arrive. Their commander, General Rieekan, decided that a mass evacuation might provoke a response from the Empire and that they were better staying on the surface. When the Death Star battle station appeared in orbit around Alderaan. the panicked calls came in to Rieekan almost immediately. People pleaded for help, for evacuation ships, for anything. Never mind that there wasn't time to evacuate, or that nothing was capable of disabling that Imperial monstrosity. Rieekan feared that evacuation then would be admitting the Alliance's knowledge of the Death Star to the Empire. If they saw thousands of starships suddenly lift off from the planet, the Imperials would surely take that as confirmation of the planet's Rebel connections. Planets loyal to the Empire have nothing to fear, the bureaucrats would argue. No, he thought, we'll sit tight and hope this is all a bluff, or some kind of display of force meant to scare us into submission. Minutes later, the Empire proved that it was not bluffing. The planet was vaporized. Countless lives were instantly extinguished. Never again would Rieekan underestimate the ruthlessness of the Empire. To me this means that, for a brief moment, the inhabitants realized that they were going to die. How did Vader survive that long on Mustafar? Are Stormtroopers paid or rewarded in any way for their service? How far was the death star from Alderaan when it blew the planet up? Why are the Alderaan destruction stories in the Eclipse short story (Canon), and Episode 4 different?